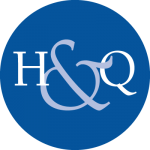 Hawkes & Quirk, LLC is located at 66 Main Street, Suite 303, in downtown Ellsworth. We are on the third floor of the Camden National Bank building. Our entrance is behind the building where parking is available. The elevator is directly inside the lobby. If you visit the office during our regular business hours on a bank holiday, please utilize the buzzer marked for our suite located at the left of the rear entrance. We’ll come down to let you in. If traveling southeast from Bangor, take Rte 1A to High Street and turn right onto Main Street. We are at the intersection of Main & Water Streets on the right. If traveling northwest from Mt. Desert Island, continue onto Myrick Street, turning left onto Downeast Highway into Ellsworth. Continue on High Street to the lights that intersect with Main Street. Turn left onto Main Street. We are at the intersection of Main & Water Streets on the right. If traveling west from all points in Downeast Maine, take Rte. 1/Downeast Highway towards High Street continuing to the lights that intersect with Main Street. Turn left onto Main Street. We are at the intersection of Main & Water Streets on the right. If further directions are needed, please call our office at 207-667-2581 or 800-287-2581.